Archangel of strength and valor, guards our reputation and job status, helps to know the purpose of your life. Archangel Michael also guides your next step and helps you make important life changes. Archangel Michael urges you to look deep inside yourself to discover your true nature. You can ask Archangel Michael to give you courage to face the future whatever is happening in your life. Archangel Michael brings you help, strength and calm to cope with the crises of everyday life. The angel of truth courage and protection, Archangel Michael gives you the courage to be honest with yourself, whilst protecting you physically, emotionally and spiritually. 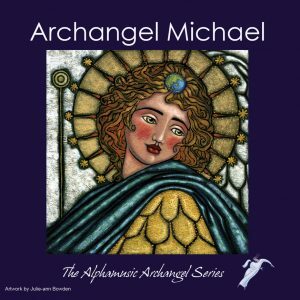 Choosing Archangel Michael can indicate that there are some changes (job, relationship or so on) that you need to make in your life. Whatever obstacles stand in your way Archangel Michael will fill you with courage and strength to make these changes. Archangel Michael urges you to look deep inside yourself to discover your true nature. You can also ask Archangel Michael to cut any ties that bind you to others, or negative emotions, past, present or past life to help you let go and move on. You can ask Archangel Michael to give you courage to face the future whatever is happening in your life. If you are afraid to tell the truth, if you are not facing the truth, if you are not being true to yourself, if you do what others want regardless of what is right for you. Archangel Michael brings you help, strength and calm to cope with the crises of everyday life. Archangel Michael can also rid you of old programming and thought patterns. Archangel Michael is the angel of the south and governs the element of fire.